March 15, 2016 – The deployment of the Miniature X-Ray Solar Spectrometer (MinXSS) flight model 1 from the International Space Station (ISS) has been delayed to early April. MinXSS has been on the ISS since early December and had been expected to deploy in early March. MinXSS will be deployed from a NanoRacks CubeSat Deployer and will have an expected 5-12 month orbital lifetime, dependent on atmospheric conditions. The MinXSS team has been performing a long duration battery test on the ground and is confident that the CubeSat will deploy with a fully charged battery. The University of Colorado’s Laboratory for Atmospheric and Space Physics (LASP) designed and built MinXSS, a four-year NASA-funded CubeSat that will be analyzing the soft X-ray spectrum of the sun. MinXSS will collect data to help scientists better understand the energy distribution of solar flare soft X-ray emissions and the impact of space weather activity. This activity can impact telecommunications and navigation systems and in a worst-case scenario, can disrupt the power grid for months, or even years. MinXSS is part of a greater international movement to use CubeSats for important scientific research. Since the first CubeSat was developed in 1999, these miniature satellites have emerged as invaluable tools of education and science. CubeSats offer students the unique opportunity to design, construct and test hardware that will be flown in-orbit with meaningful scientific objectives. 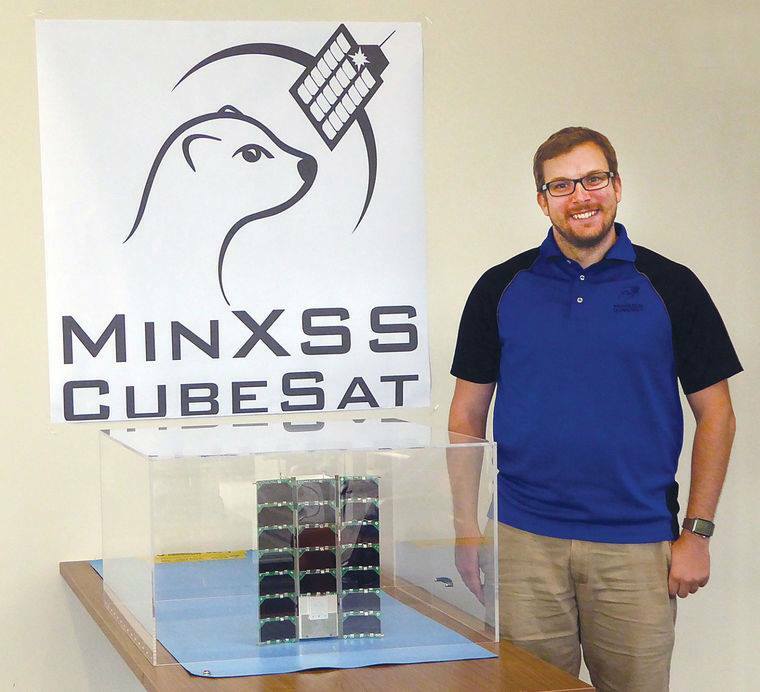 MinXSS is being deployed through NASA’s CubeSat Launch Initiative (CSLI), which provides affordable access to space for CubeSats developed by NASA center and programs, educational institutions and nonprofit organizations. 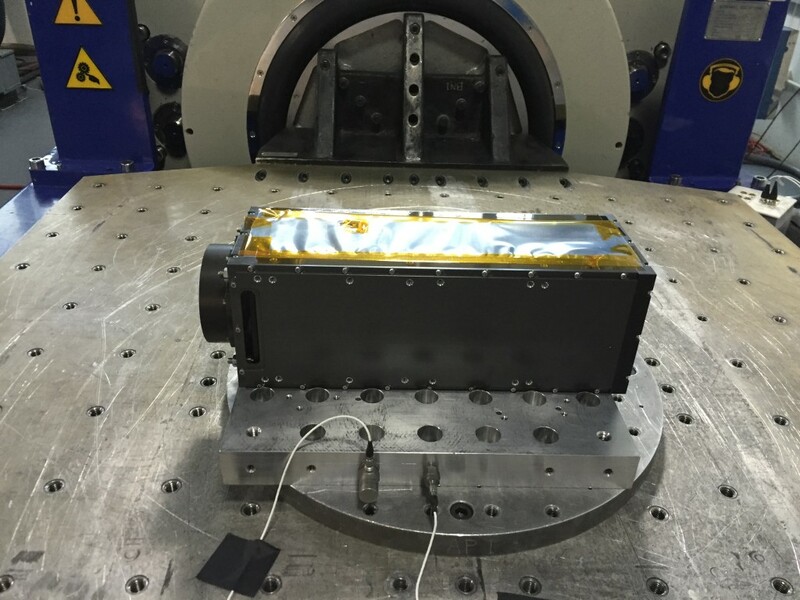 On March 3, the MinXSS team brought the second flight model (MinXSS-FM2) to Cascade Tek in Longmont, Colorado and performed successful vibration testing on the CubeSat. Thermal vacuum testing will commence at LASP in June. MinXSS FM-2 is being planned for a higher altitude, longer mission in a sun-synchronous polar orbit (SSPO) via a launch on the Skybox Minotaur C launch in 2016.